It is easy to debate endlessly over what the best sport in the world is, but tennis definitely brings some serious game as a contender for that title. True, there are a lot of fast-paced sports out there to wager on, but how many are as focused as tennis? With tennis, you do not have to follow numerous players. Aside from doubles, one player is pitted against another, and it is down to each individual player to prove he or she has what it takes. This gives tennis an elegant simplicity which can be a welcome reprieve from the complexity of other sports. This is just one of the many reasons why so many bettors are passionate about following tennis. Another reason is that with tennis, there is always something to bet on. Major tennis tournaments take place around the calendar, around the globe. You will never get bored, you will always be honing your handicapping abilities, and you will always have numerous opportunities to win money. In this article I will introduce you to some of the best online sportsbooks for wagering on tennis. But before I dive into that, I want to tell you a little bit more about this fascinating sport. If you already are familiar with major tennis tournaments and types of tennis bets, you can skip down past these sections to the last section in the article. There you can view my recommendations for tennis sportsbooks in different categories. Bovada is also an excellent site for betting on futures. As far in advance as the year prior, you can wager on all upcoming Grand Slam tournaments, including the Australian Open, French Open, Wimbledon, and US Open. If you are not yet a member of Bovada, you can qualify for a welcome bonus up to $250 when you sign up for an account today. Bovada also regularly sends out additional bonus opportunities for loyal customers, so keep an eye on their promotions page. BetOnline does not appear to offer as much in the way of variety as Bovada, but it is a good site if you want to wager on ATP, WTA, or Challenger. According to the site itself, you can wager on Grand Slam and every other major tennis tournament, so it seems it simply takes longer for the site to make wagers available for these events (in other words, they do not offer as much in the way of futures as Bovada). Additionally, they post running updates on tennis news here. BetOnline offers welcome bonuses as well as lifetime bonuses for its sportsbook customers, not to mention free plays for mobile and live betting. So these promotions provide you with even more incentive to join and play! There are numerous types of bets available, including live in-play wagering. 5Dimes also takes pride in offering unusual prop bets which you “won’t find anywhere else.” Note that if a player retires before the completion of the first set, your bet will be voided. Some bettors like this while others do not; you will have to make up your own mind. On MyBookie, you can wager on ATP, WTA, and other major tennis competitions. MyBookie offers futures bets as well, though does not seem to provide as many opportunities as Bovada. They also maintain a running news feed on developments in the tennis world, and also offers predictions and free tips for major tournaments. MyBookie is quite generous with their bonuses. There is a 50% sign-up bonus up to $3,000, and a 20% cash sign-up up to $500. Additionally, you can qualify for ongoing reload bonuses of 25% up to $500, and you can snag a $20 risk-free bet. One exciting thing about Intertops is that they offer promotions which are specific to tennis. For example, if you wager $1,000 or more on any of the Grand Slam competitions, you might be entered into a prize pool for a $5,000 cash bonus with no strings attached. This is just one more way that Intertops adds value to your online betting experience. Finally, one more excellent choice for wagering on tennis online is bet365. Few sites offer the tremendous range of matches to bet on that you will find at bet365. There you can wager on ATP, WTA, Challenger, ITF, and Grand Slam. For each event, you will find numerous wagers you can place including First Set Winner, Total Games Played, Set Betting, Round Robin Matches, and more. Like Coral, bet365 offers live streams of major tennis matches for in-play betting (in fact, they stream thousands of sports events). They are definitely one of the top overall choices if you want to pursue as many betting opportunities as possible in tennis each year. Now you know a lot more about betting on tennis online. You know which major events to follow, what types of bets you can place, and which betting sites I recommend for in-play betting and more. I suggest you actually join several of these sites. This will give you access to far more opportunities and promotions, and will also give you a chance to shop around for the best values before you place your bets. This is essential if you want to maximize your winnings. What Big Tennis Events Can You Wager On? If you are new to following tennis, it helps to familiarize yourself with some of the major tournaments. The Grand Slam events are considered the most prestigious of all tennis tournaments. They offer the most ranking points and they pay out the most prize money to the champions. There are also other events which take place at each of the tournaments. These include matches for juniors and seniors as well as players in wheelchairs. There are also sometimes special exhibition matches. If a player wins the US Open, French Open, Australian Open, and Wimbledon during a single year for any of the main events, that is known as a Grand Slam. This would obviously be quite challenging even if all of the tennis courts were similar, but the conditions vary from one tournament venue to the next. The most striking example is perhaps the court at the Stade Roland Garros in Paris, France. The French Open is played on a clay surface, which is slow moving and produces a higher bounce than hard court or grass. As a result, the French Open is friendlier to players with different play styles. So even if a player manages to win the other three tournaments, it can still be quite hard to succeed at the French Open. The ATP World Tour Finals are also known as the Barclays ATP World Tour Finals. This is a men’s pro tennis tournament which is held each November in London at the O2 Arena by the Association of Tennis Professionals. All matches are played indoors on hard court. These are the concluding championships of the ATP World Tour season. This tournament takes a round-robin format to determine which players will proceed to the semifinals, and ultimately, the finals. The history of the ATP World Tour Finals dates back to 1970. At that time, the competition was referred to as the Masters Grand Prix. Since then, it has taken on a number of forms. The ATP started running the tour in 1990, at which point the event became known as the ATP Tour World Championship. 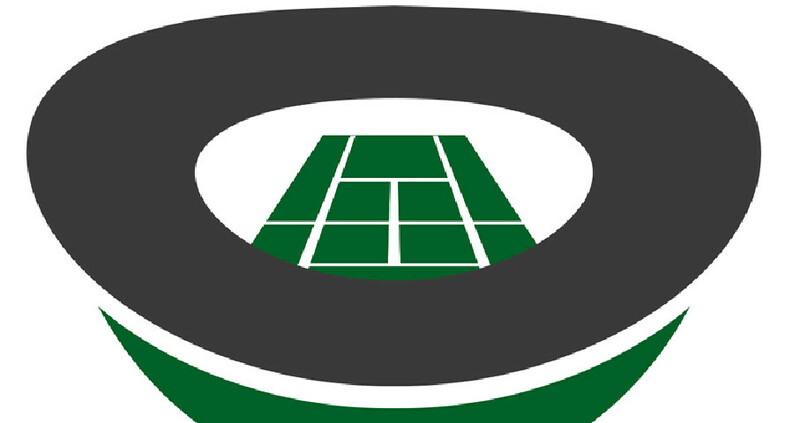 In 1999, the ITF got involved, and the event was called the Tennis Masters Cup. Finally, in 2009, the event was again renamed to the ATP World Tour Finals, its present incarnation. While the Grand Slam is still considered the most important set of tennis tournaments every year, the ATP World Tour Finals is not far behind. The Davis Cup is the premier international men’s team tennis event, and takes place annually. The International Tennis Federation (ITF) runs the Davis Cup, which features a knock-out format. It is sometimes referred to as the “World Cup of Tennis,” and the winning team are known as World Champions. The Davis Cup originated in 1900 as an international competition between the US and Great Britain. More and more nations got involved, and the competition grew each year into the juggernaut it is today. In 2016, 130 countries sent teams to compete for the honor of becoming World Champions. As of right now, the honor of winning the most tournaments ever belongs to the US (32 in total), followed by Australia (28 in total). There is an equivalent tournament held each year for women known as the Fed Cup. The Fed Cup is also a very prestigious event, but it does not get as much attention as the Davis Cup. The biggest event for woman in tennis each year (aside from the Grand Slam) is the WTA Tour Championships, which wrap up the season for the WTA Tour organized by the Women’s Tennis Association. The WTA Tour circuit actually consists of not only the concluding WTA Finals, but other events which I have already talked about. These include the Grand Slam tournaments and the Fed Cup, as well as the WTA Premier Tournaments, the WTA International Tournaments, and the Summer Olympics. New to the WTA Tour circuit in 2016 is the Hopman Cup. The Hopman Cup does not award ranking points. The WTA Finals are usually considered the most prestigious event in the annual tennis season following the four events which are included in the Grand Slam. After the Grand Slam, the WTA Finals award the highest points and prize money. This is a bet which starts with points added or subtracted before a match begins. Once the match concludes, the score for the purposes of your wager includes the additions or subtractions. So if for example a player had 5 points subtracted before the match began, they would need to win by at least 6 points in order to make up that difference. Otherwise, even if they technically won the match, you would still lose your bet. With this type of bet, you are attempting to determine how many sets will be in a match—specifically, whether that amount will be under or over a particular total. This kind of wager is sometimes also referred to as a “set totals” bet. There may be times when you are not sure who will win a tennis match, but you are pretty sure you know roughly what the final score for a particular player might be. With this type of bet, you try to determine how many sets the player will win, and how many they are going to lose. Futures bets are long-term bets placed on the outcome of competitions which may be weeks or even months away. Obviously it is very difficult to figure out what will happen in the tournament so far in advance, since you do not have as much information to use for your handicapping. Long shots like these are difficult to win, but if such a futures bet does succeed, you may receive a substantial payout. While many sports books online offer futures bets, you will find that some sites present you with far more opportunity than others (there are a couple of sites I particularly recommend; scroll down to find out more). If you think that there will be a tie break over the course of a match, you can place this type of bet. To Win 1st Set bet. This type of wager is self-explanatory from its name; you simply have to guess correctly which player will be the winner of the first set during the match. Can you guess how many games will be played during a match? If so, this type of wager is a great way to make some money. There are many different types of proposition bets which you can place for tennis. These will vary wildly from one sports book to the next. One example might be trying to figure out during which round a certain player will be eliminated. Another example might be trying to determine which player will be in a tournament the longest. A couple of the wagers above are sometimes considered prop bets. *Note: What if a player retires from a match? Will your wager be voided or will it be settled in favor of the player who didn’t retire? That depends on the bookmaker you are using. The rules can vary from one sportsbook to the next. So always check the tennis betting rules on any site you are thinking of wagering on before you start placing bets. Another opportunity that you have online is to bet live in-play on various tennis events. Live betting has become a very popular activity over recent years, so it is offered by quite a few sportsbooks (we introduced some of those earlier). With live betting, you are placing your bets while a match is in progress. Because tennis is fast-paced, there are many times when you might not know what is going to happen going into a match, but after you have observed the players in action, you may glean a better understanding of what is taking place on the court. You’ll find that many of the same types of bets which you can place before a match are also available in-play. You can also place wagers such as Next Game Winner, Next Set Winner, and Point Betting. In order to bet live, you not only need to find a sportsbook (Bovada for USA and Bet365 for the rest of the world) which will offer you the opportunity, but you also need to find a way to watch tennis matches live. This means having a cable TV subscription or streaming online. If you do not have a cable subscription, or you are betting away from home, the ability to live stream tennis matches is incredibly helpful. So the best sportsbooks for live betting will be those which also provide you with a complimentary free stream. 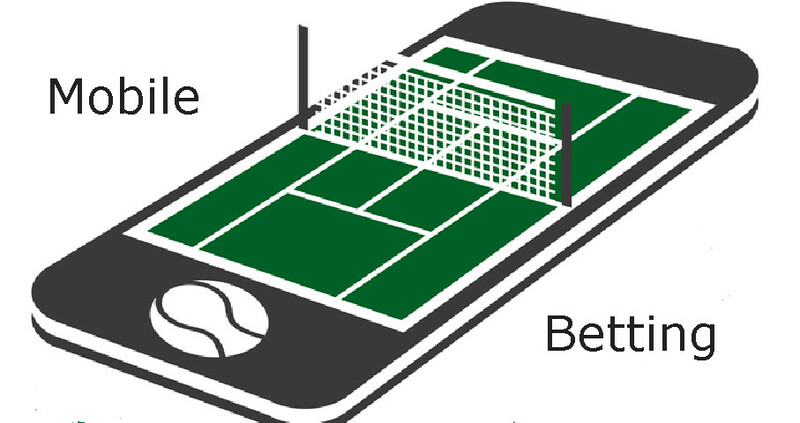 There is one more thing you should be aware before you start live streaming tennis matches and betting on them. The reality is that some live streams are more “live” than others. Laggy streams can be found both online and on television, so it is not necessarily better or worse to watch a match on TV or on the Internet. All that matters is the quality and speed of the specific stream you are watching.